"Will you find him weird? Yes. But Martin Shkreli, despite all his flaws and dysfunctional personality, is brilliant beyond words"
"Pharma Bro" Martin Shkreli is either a con man who scammed hedge fund investors of millions or a nerdy genius who made them even richer. The conflicting portraits were offered Wednesday at opening statements of Shkreli's securities fraud trial, a case colored by the ex-pharmaceutical CEO's antics on social media that, despite the urging of his lawyers to lay low, have never subsided. "Is he strange? Yes," defense attorney Benjamin Brafman told the jurors in federal court in Brooklyn. "Will you find him weird? Yes. 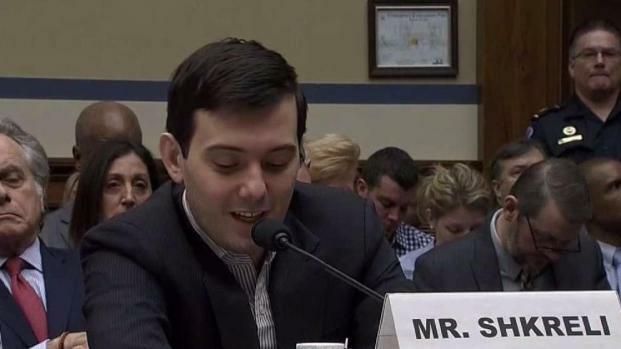 But Martin Shkreli, despite all his flaws and dysfunctional personality, is brilliant beyond words." In his opening, Assistant U.S. Attorney Karthik Srinivasan accused Shkreli of building a bogus hedge fund empire by telling "lies on top of lies on top of lies." Though he portrayed himself as a Wall Street wizard, "In reality, he was just a con man," the prosecutor said. The defendant, who often slumped in his chair and looked bored during jury selection, listened intently and took notes during the government's opening. As his lawyer spoke, he beamed at times. The spotlight intensified later that year with his arrest on charges — unrelated to Daraprim — focusing on a pair of failed hedge funds he founded. After he lost investors' money through bad trades, he secretly looted Retrophin, another pharmaceutical company where he was CEO, for $10 million to pay back his disgruntled clients, Srinivasan said. "Rather than owning up to his lies and admitting his investments were a failure, the defendant doubled down by engaging in an even bigger fraud," he said. The alleged victims in the case were high-rolling investors who were drawn to Shkreli's quirky personality and ended up getting their money back — and more — because Retrophin eventually became a successful startup worth $1 billion, Brafman said. Board members of his companies who made fun of Shkreli behind his back, — questioning his sexuality, wondering if he was autistic and calling him "Rain Man" after the movie character — misunderstood his talents, said the lawyer, who himself referred to his client as a "nerd," ''odd duck" and a "mad scientist." He added: "As Lady GaGa said, 'He was 'Born This Way.'" Jury selection, which started Monday, dragged out until late Wednesday afternoon as the judge sought to find jurors who could ignore the negative press over the price-gouging scandal. Also hard to ignore was Skhreli's footprint on social media where, sometimes dubbed "Pharma Bro," he boasted about buying a one-of-a-kind Wu-Tang Clan album for $2 million and got kicked off of Twitter for trolling a female freelance journalist in creepy ways. Questioned by the judge during sidebars, prospective jurors described Shkreli as "the face of corporate greed" and "a snake." "In this particular case," another dismissed juror said Wednesday, "the only thing I'd be impartial about is what prison he goes to." 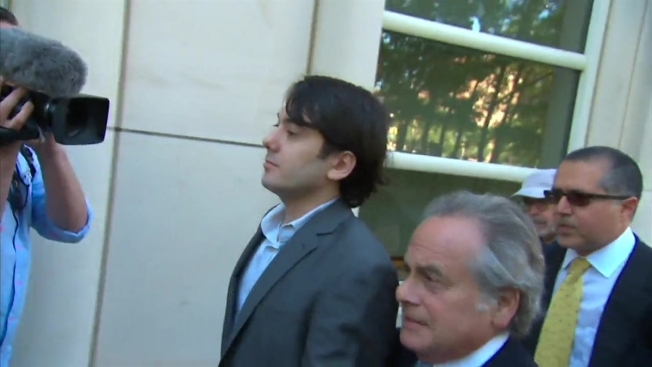 Shkreli is free on $5 million bond. If convicted, he faces up to 20 years in prison.